Remote work is becoming increasingly common in modern workplaces. It’s a highly beneficial trend for employers in many ways, as it means they don’t have to restrict their talent pool to candidates living in the city where their office is based. Similarly, it offers employees a greater level of freedom, as they can choose to work wherever best suits them. However, it’s not as easy as handing your employees a laptop and sending them on their way. There is a lot more involved with making sure your team is always connected and always feels supported, no matter where in the world they’re based. To help organizations better accommodate their increasingly remote workforce, there are a number of tools designed to better manage employees and their workflow. These apps and technologies are built to ensure remote employees always feel like they're part of the team while also allowing employers greater visibility over their far flung workforce. Free and easy to use, Google Docs is the ultimate collaborative tool. All employees need is an internet connection to be able to access any manner of shared documents and files, no matter who created the document in the first place. Document settings determine who can view and edit each file, giving you full control over information sharing, and with documents saved automatically and updated in real-time, employees are always in the loop and up to date, without risk of lost changes or versioning errors. Google Docs makes it easy to find and share meeting notes, to locate important documents and to revise one another’s work for the best possible product outcome. Slack is an instant-messaging services that does more than just replace the need for constant email communication. This convenient tool lets you set reminders for yourself with the /remind function, which can provide you with customizable daily, weekly, monthly or one-off task notifications. Plug in upcoming deadlines (ie. /remind me to submit the proposal on Wednesday) or reoccurring data (ie. /remind me to download spending reports every Monday). You can also easily chat with coworkers through the smartphone app and organize conversation topics through channels (ie. #Accounting, #Marketing, #All and so on). As such, it’s an easy way to get in touch with remote colleagues immediately, ensuring that communication doesn’t break down simply because employees aren’t physically in the office. Create, assign, share, follow, comment on and upload projects and assets with coworkers and employees anywhere, anytime. Asana allows users to see what projects are assigned to them, when they are due and who else is following the task. Comment on ongoing assignments, upload additional documents or just follow the process from start to finish. Asana makes organization and task management easier for employees and facility managers alike, and ensures that remote workers are completely in the loop in regards to their deliverables and the status of projects they’re working on. If you need to share files with multiple people—product photos, presentations or videos, large PDFs or other assets—DropBox is essential for your team. By hosting and organizing your files in its cloud storage system, DropBox makes it easier than ever for employees to tap into company resources without painstakingly emailing attachments back and forth one by one. This can be a real help when trying to share documents between remote colleagues, and ensures that all important files are kept in one easily accessible place. Regular face-to-face meetings are a useful way to check in with employees and make sure they have everything they need to do their best work. However, these days, face-to-face doesn’t actually require you to physically be in the same room as your employees, as tools have been developed to easily facilitate virtual meetings with remote workers. Skype is a free text, video and audio conferencing service that makes it easy to connect with employees, no matter how near or far. 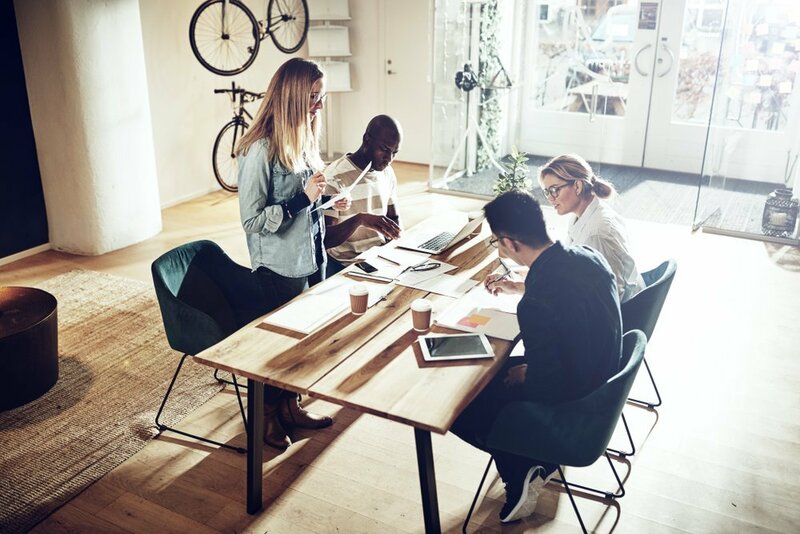 In this way, even though employees may be physically absent from the office, they still feel like a connected and integral part of their team, capable of participating in real-time conversations with both their peers and their managers. 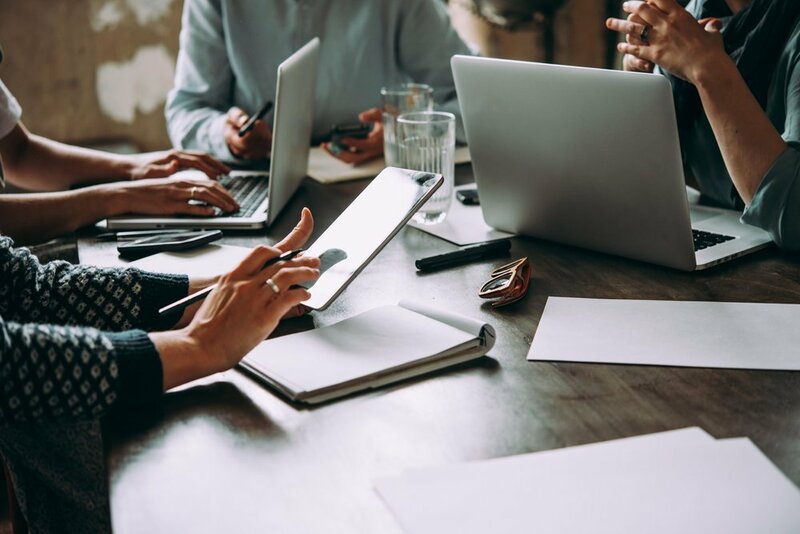 From brainstorming and communication to record keeping and resource management, there are plenty of digital tools for you to rely on in order to keep your team organized and interconnected. Make sure you have a well-stocked digital toolbox so that managing remote employees is easy, efficient and reliable, making the process smoother for employees and employers alike. 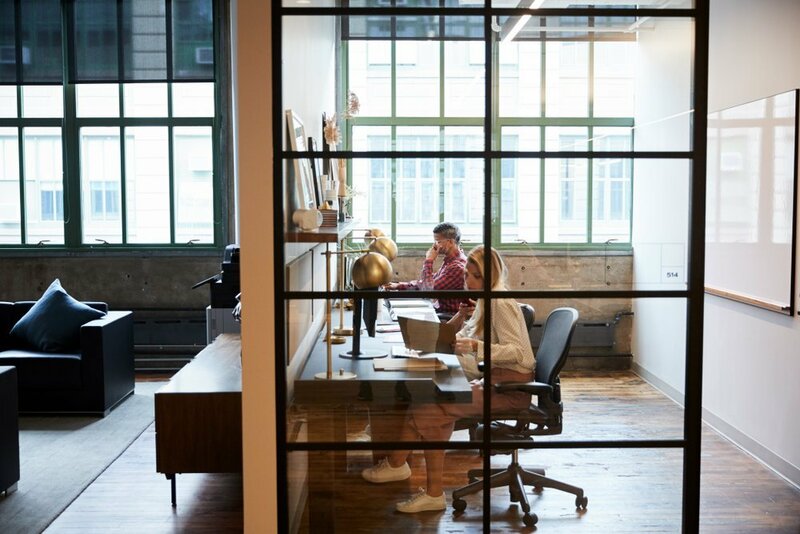 Learn more about connected technologies that are essential to the modern workplace.